When you are a high-risk business, it can be difficult to find a credit card processor in Orlando who is willing to work with your business. They might be concerned about chargebacks and the high incidence of fraud that occurs in your industry, no matter how tightly you might run your own ship. There are a number of things that you can do as a high-risk merchant to reduce your risk and make your business more appealing to processors. Our high-risk credit card processing team in Orlando has these tips for businesses searching for best practices when it comes to taking a credit card in a high-risk industry. Chargebacks are a drain on your resources and too many can flag a business as high-risk even if it isn’t within one of the identified high-risk industries. A lot of chargebacks can make it look like your business is defrauding customers and they could be quick to sever ties. Work with your customers directly to attempt to solve their issues so they don’t have to resort to a chargeback. Keep up-to-date on credit card scams. Make sure you know what credit card scams are currently making the rounds. These sorts of scams tend to be cyclical; they’ll fade out for a while and then come back full force in a couple years. Make sure you are familiar with what sorts of scams are common and what to watch out for when it comes to your business. Get a signature on large purchases. More and more credit cards are using a PIN instead of a signature now. While that’s more convenient for the customer, it can be trouble for the merchant. If you are processing a large order or an on-going charge, it’s a good idea to have the customer sign for the purchase as well. Make sure you keep the records in case there is a dispute in the future. The ZIP codes on the buyer’s credit card, billing address, and shipping address should ideally all match. If they don’t, make sure you ask why before you push the charge through. This could be an indication of fraud. In some instances, the shipping address could be different (sending a birthday present, for instance) but make sure you ask and make sure the answer makes sense to you. Make sure you have permission for recurring charges. Recurring charges are one of the most common chargebacks. When you set up a customer on a recurring charge, whether that’s for a monthly membership fee or subscription service, make sure you have their express permission to be charging their card each time. Keep those records in case they decide to dispute the charges a few months in. Be wary of unusual transactions. You know what a “typical” transaction looks like for your business. If you have one that’s out-of-the-ordinary, take a closer look at it. Special circumstances like international shipping, several large purchases made in a short period of time, or splitting the charges over a number of credit cards are all things that should cause you to take a second look at the transaction and ensure it isn’t fraudulent. If you are shipping something, make sure you send it with a delivery confirmation request. All shipping business will offer this service. This can prove that the buyer did, in fact, receive the item even if they claim not to and try to do a chargeback. A delivery confirmation may cost you a little extra, but it can save you a whole lot of time and trouble later on. You might be tempted to make an exception for a particularly charming customer or for someone with a sad story. Resist that temptation. Fraudsters know how to push your buttons and get you to make an exception for them, only to find out later that you’ve made a mistake that costs your business in a big way. Stick to the rules you set in place and don’t make exceptions for anyone you don’t know personally. Following these best practices for credit card processing within your business reduces your risk of chargebacks and fraud, two of the biggest indicators of high-risk businesses. It could make your business more appealing to processors over time and help you secure a lower processing rate. Are you currently looking for high-risk credit card processing for your Orlando business? We can help. 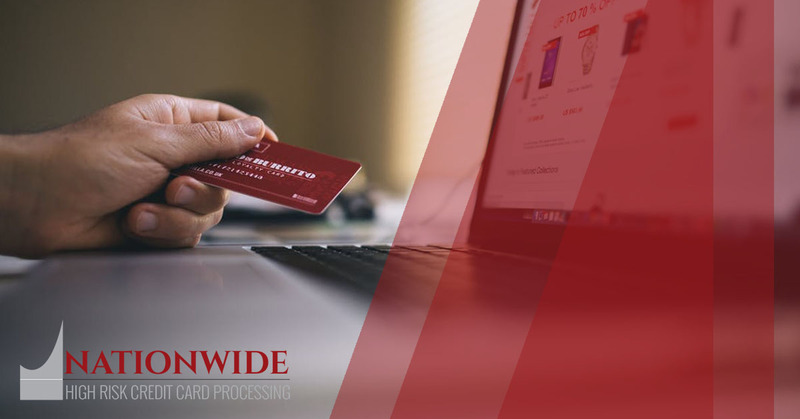 Visit Nationwide High-Risk Credit Card Processing’s website today and fill out our online form for a 30-second high-risk assessment. We work with businesses who need credit card processing but work within a historically high-risk industry, providing them with rates that help them stay competitive. Come see what we can do for you, too.